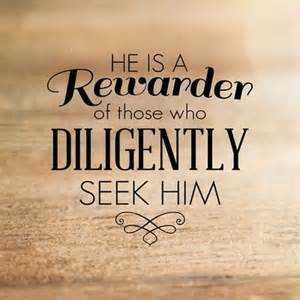 We must be diligent when seeking the Lord to understand His ways, and the more we search for Him will His presence become clear to us. (Jeremiah 29:11-13). For I know the thoughts that I think toward you, saith the Lord, thoughts of peace, and not of evil, to give you an expected end. Then shall ye call upon me, and ye shall go and pray unto me, and I will hearken unto you. And ye shall seek me, and find me, when ye shall search for me with all your heart. The book of Proverbs teaches if we diligently seek good we will have favor, but if we seek mischief then it will come to us (Proverbs 11:27). Many know of the blessings and curses of Deuteronomy 28 and we learn those who listen constantly to the voice of God will be set above the nations of the earth. It is by God alone that anyone can rise above anything in this life, after all we can do all things through Christ who strengthens us and we know He has overcome the world. (Deuteronomy 28:1-2). And it shall come to pass, if thou shalt hearken diligently unto the voice of the Lord thy God, to observe and to do all his commandments which I command thee this day, that the Lord thy God will set thee on high above all nations of the earth: And all these blessings shall come on thee, and overtake thee, if thou shalt hearken unto the voice of the Lord thy God. We are unable to please God if we do not have faith, but as Jesus taught faith can move mountains and as we retain a strong faith in God and seek Him it is written He is a rewarder of those who diligently seek Him! (Hebrews 11:5-6). By faith Enoch was translated that he should not see death; and was not found, because God had translated him: for before his translation he had this testimony, that he pleased God. But without faith it is impossible to please him: for he that cometh to God must believe that he is, and that he is a rewarder of them that diligently seek him.